Welcome to one of our favorite client’s house… We’ve shown you this project before in its very beginning stages and boy has it come a long way! This client is taking it room by room which we think is a brilliant way to stay on budget and make sure each room looks complete when it’s all said and done! She chose to start in the children’s rooms which we were excited to hear because these often get thrown on the back burner and they definitely should not. 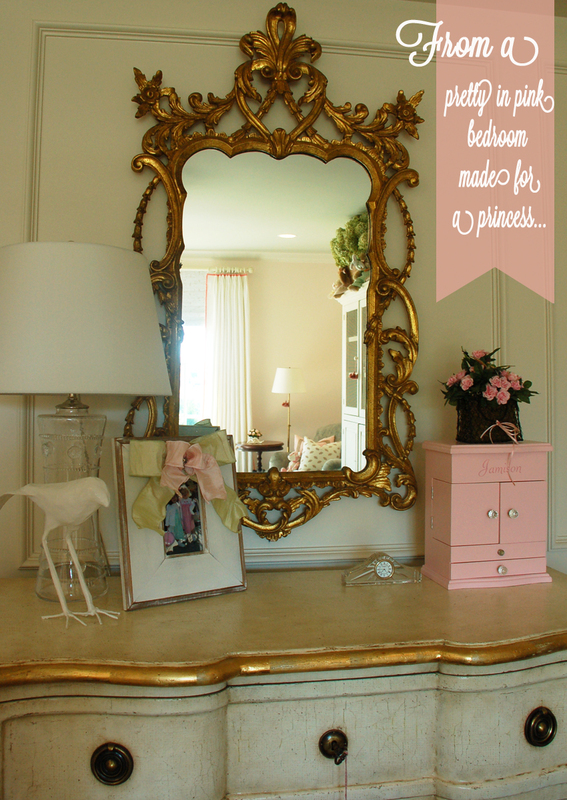 Take a look at the daughter’s youthful and feminine bedroom… just darling! Gilt details against a pale pink backdrop will always make a space feel richer without being overwhelming. 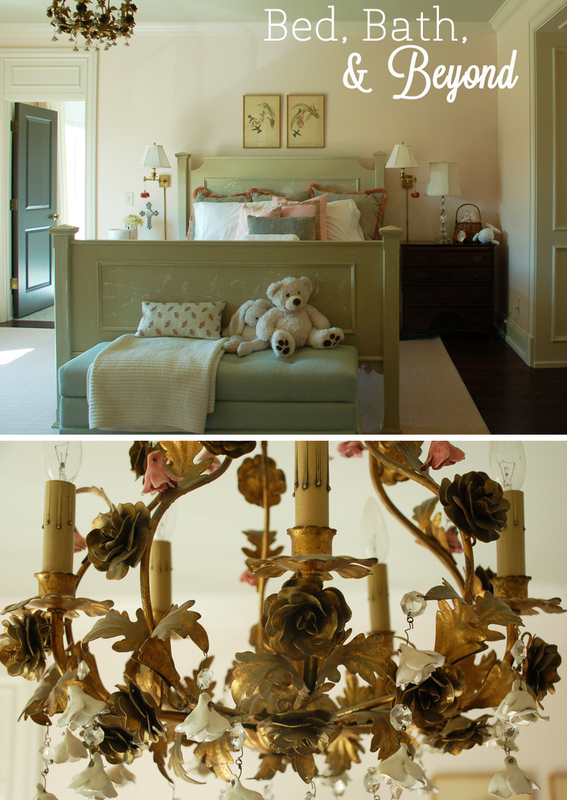 The delicate combination is a go-to for us when designing a little girl’s room because while the rosy hue appeals to their young ladylike preferences, the ornate metallic pieces bring in an element of sophistication. 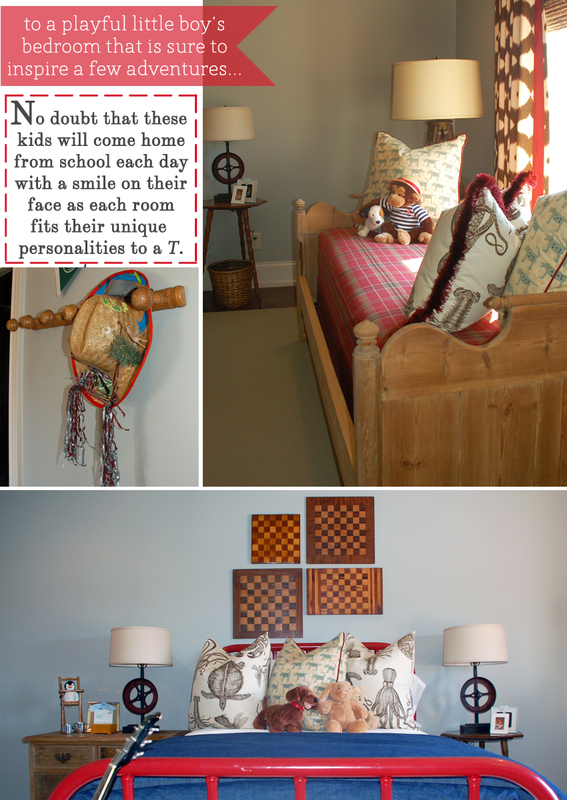 While the daughter’s room secures a precious and dainty atmosphere, the son’s exudes a bolder, much more playful mood. The finishes and prints, with just the same amount of charm, feel more rustic and exciting conveying the energy of the spirited son. Continuing with the trend of keeping the bedrooms aligned with the personalities of their possessors, the master bedroom was clearly created just for the couple that gets to enjoy it. 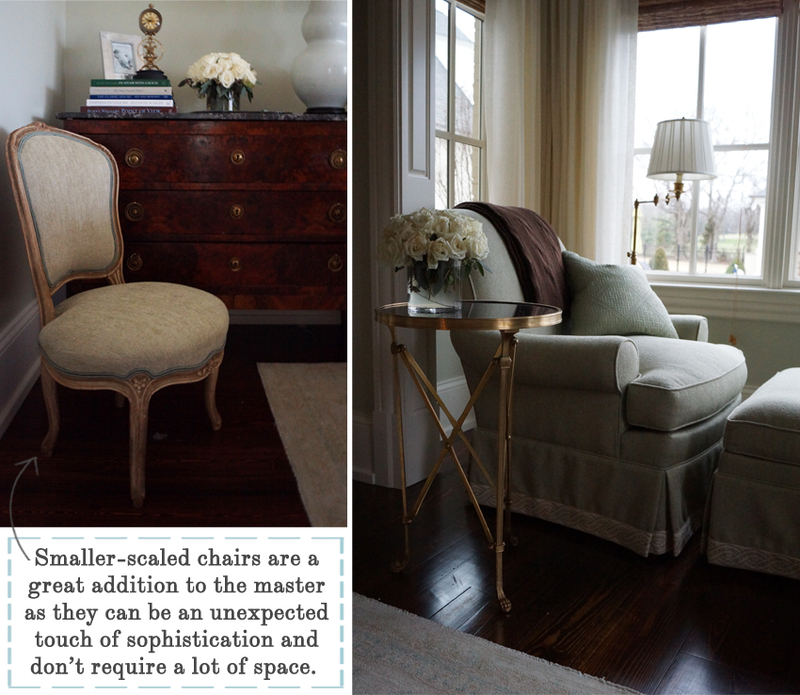 They are laid-back and compromise to create a perfectly balanced room filled with both feminine and masculine elements. The space manages to be beautiful yet accessible and also relaxing while still keeping a great amount of interest which suited them both, and us too! 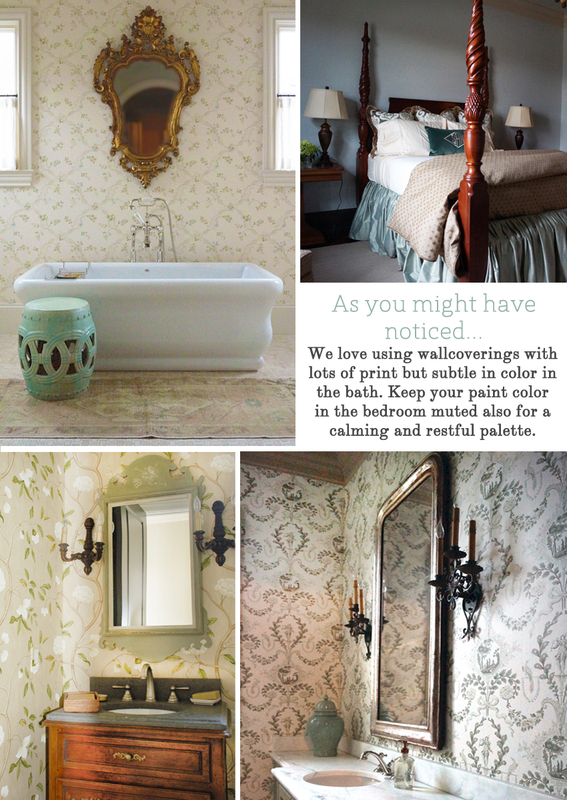 We certainly couldn’t end this post without mentioning some of the other bedroom and baths that we find particularly interesting. 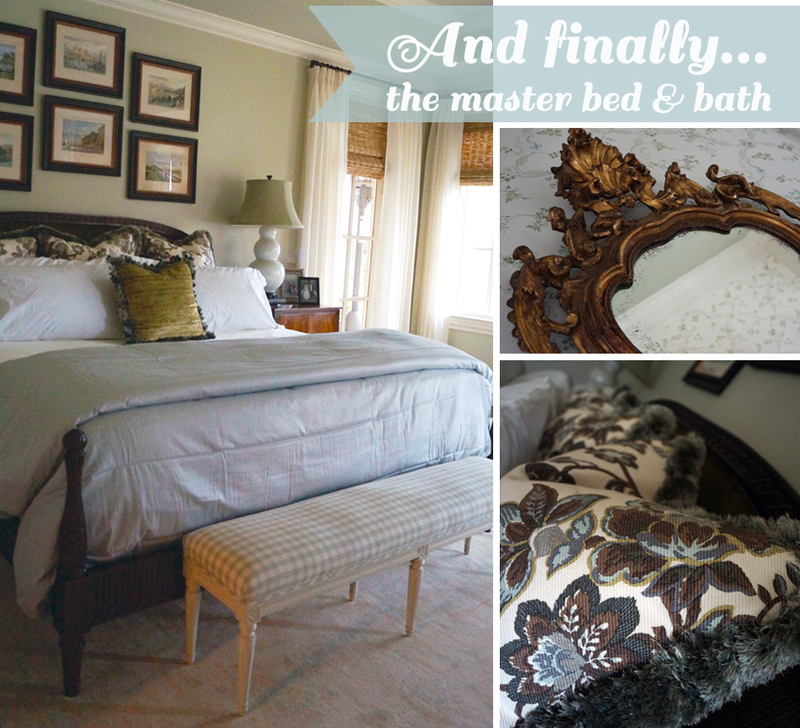 Adjacent to the stunning master bath image is the guest bedroom which again maintains both a contemporary soft palette and plush textures to complement the traditional furniture. 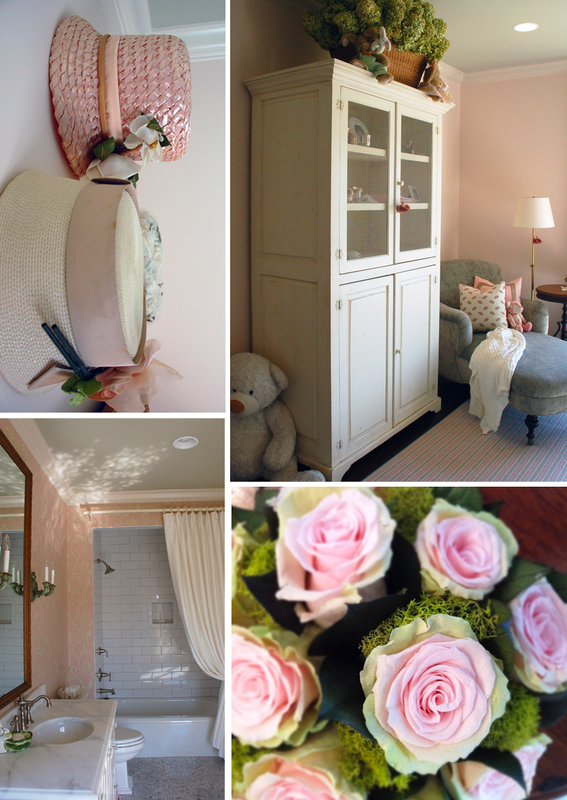 Lastly, the guest bath and powder rooms are featured. One unique fact about the powder room vanity is that it was actually converted from an antique chest to give it a one-of-a-kind look! In fact, all of the rooms we’ve shown you today are one-of-a-kind as we are always sure to include as much custom detail as we can to assure that our clients have a completely fresh and individualistic space!